As a craft brewer who is independently owned and takes pride in product quality, it is essential to be aware of the current or arising trends in this market. The wrong flavor choice or ingredients could affect the success of your growing business. Craft brewer trends change from year to year making it equally important to stay on top of consumer preferences. These trends make it easier to determine what customers want and to cater to their needs. A large percentage of consumers are drinking more craft beers than they were a few years ago. Individuals making this choice typically have an age of 30 or below. This trend defines the target market making it easier to brand products to gain loyal customers. At the same time many consumers are drinking regular beer less. The following craft brewer trends are helpful in catering to your customers. Consumers are becoming more interested in how beer is produced including where it is brewed. However, this preference is more about what goes into making the final product. They want options made from fresh ingredients obtained locally while having a variety of available options. Local does not mean they only want to taste those crafted in their own back yard. Instead, they desire to try products from craft brewers in other areas of the world that use fresh, local ingredients. Customers always look for a great taste, but the real driver is quality as well. For consumers, the premium image of this choice conveys increased quality. Many individuals feel like the choice is more special than regular beer. A few common words to describe craft brewer products are “flavorful” or “high quality”. In other words, cost is not the obstacle, but rather conveying the superiority and quality of your product. Part of craft brewed beer is trying out the newest flavors or products. If you are a brewer, this means new options are essential to keeping your business thriving. For a lot of craft brewers, this might mean having seasonal flavors such as fall ale that is only sold for a limited time. Having these unique choices available for a limited time allows consumers to try new products while keeping your brand in focus. Additional trends include sour or fruit flavored craft beers for a more diverse flavor selection. While canned products have been less common, they are also beginning to be in higher demand. The independent brewer craft seal developed by the Brewers Association is also a great idea. 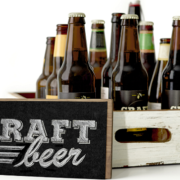 Craft brewer trends allow your company to adjust marketing tactics such as labeling and the brand to better suit consumers desires. Maybe you could include more fresh and local ingredients or should develop a new, limited time flavor. Looking for the Right Label for your Bottle? Flexo-Graphics offers many options to ensure your product’s label design gets noticed by potential customers. If these latest consumer preferences have sparked a new idea, contact our team to see how they can be incorporated into your labels and marketing campaign. In the U.S., the recent rise of craft beer may seem a bit surprising considering that many consumers are still in cost cutting mode due to the recent recession. However, you could also look at the rise of craft beer through the lens of a famous saying about alcohol sales: “Bars don’t go out of business in bad times”. But, however you choose to view the rise of craft beer, one thing is certain: There are six trends that currently define its impressive sales in the U.S. market. Some beers seem purposefully designed to make the drinker inebriated. If you’ve spent much time perusing the beer sections of your local grocery stores, you’ve probably seen cheaply priced “tall boys” that have an alcohol content of roughly eight percent. Some high-price craft beers have the same alcohol content, but the alcohol combines with special ingredients to create a mouth watering taste. These crafts brews are meant for savoring and not chugging. Hops, which are “the flowers (also called seed cones or strobiles) of the hop plant Humulus lupulus” (Wikipedia) have been used in beer making for centuries. In addition to adding an exceptionally dry taste to beer when they are used in copious amounts, hops serve as a natural preservative. Today, india pale ale (IPA) brews are in high demand for their distinctive hops flavor. It’s an obsession that will probably pass. But, right now, the national trend is in full swing. There are some products for which paying more results in getting more — and craft beer is one of them. Some craft brews retail for less than $10 per six units (i.e., the classic six pack), but you’ll also find four packs that sell for at least $20. Prices at the high end usually apply to beer that has a specialized formulation and is brewed in small batches. This is one reason why it’s common for stores to find the high priced craft concoctions steadily disappearing from shelves. 20 years ago, craft beer lovers often had to visit high-end liquor stores to find a meaningful selection of craft brews. Today, however, buying a nice pack of craft beer is as easy as stopping by the closest quick shop on your way home from work. Most gas stations and department stores don’t offer nearly the same craft brew selection as designer liquor stores, but it’s the convenience of the purchase and not range of products that tends to draw people in. 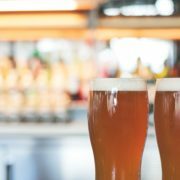 According to a recent report on the rise of craft beer from Millennial Marketing — a website powered by Futurecast — “The consumers buying alcohol, especially beer, are virtually all Millennials…Over forty percent of these consumers said craft beer just tastes better.” Millennials are now the most populous generation in the U.S., which naturally makes them a prime marketing segment craft brewers. Packaging for craft beers offers brewers a golden opportunity to distinguish their products from others on store shelves. The main reason why packaging is so important is that there are numerous brands that sell a specific type of brew. So, brewers need a way to make their products pop out from the rest. Working with an experienced provider of beverage packaging resources is often the easiest way for craft brewers to make their packaging work its magic. Looking for More than a Regular Beer Label? Flexo-Graphics is a customer focused provider of product branding and identification solutions. In our over 30 years of experience, we’ve helped numerous beer brewers, wine makers, and other beverage providers implement packaging strategies that help generate an excellent return on investment (ROI). To inquire about our services, please contact us today by calling (262) 790-2740, or fill out the contact form on website. We look forward to hearing from you. Craft brewing starts with a passion for great pilsner, ale, porter, stout or other brew styles that appeal to the brewer’s palate. Often, the person or group behind starting a craft brewery spends years reading about the brewing process and sampling different brands and styles to refine their connoisseurship. After education and tasting are complete, the brewer often starts out producing private micro brews to help refine beverages that will eventually be sold commercially. However, before a craft brewer is ready to stock store shelves with its products, several things must be done, including: buying or leasing a brewery location, purchasing brewing equipment, establishing a supply chain, and implementing a process for beverage bottling and labeling. Because craft breweries often start out with a conservative budget, these resources must be acquired economically and implemented quickly to start earning a return on investment (ROI). Product labeling is one of the final production phases before a brew goes to market, but it’s one of the most essential phases. Because customers aren’t familiar with the new product, the label often makes the first impression. This doesn’t mean you need to get fancy and use labels that feature gold leaf, paper made from special wood, and other expensive touches, but you do need a labeling solution that translates your label design into a crisp, clear image on the container. This why many fledgling craft breweries turn to Flexo-Graphics for assistance with the labeling process. In addition to producing fabulous looking craft brew labels whose size, composition (i.e., label stock), and adhesive are perfect for a brewer’s requirements, we help the brewer implement the labels as inexpensively and efficiently as possible. One example of how we do this is by using our digital print center to produce label designs digitally. Because digital printing can be done exceptionally fast compared to conventional printing methods, it’s ideal for getting products to market quickly, creating labels for short production runs (e.g., seasonal beer), and making quick changes to logo designs and other printed elements. Concerning cost, you may have heard that digital printing is more expensive per label than other printing methods, which is often true. However, as Wikipedia notes, “[The cost] is usually offset by avoiding the cost of all the technical steps required to make printing plates.” Using a digital printing process can also save money, and so can having your craft brew labels printed on demand or, alternatively, ordering them in bulk to reduce cost per label. Ready to Label Your Delicious Brews? If so, we’re ready to supply you with labels for bottles and/or cans that make your libations stand out among the sea of others that are stocked in the same store aisle, and supply the labels on a basis that fits your budget. 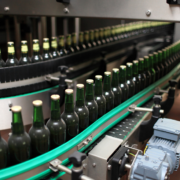 We have over 30 years of experience in producing custom labels that help beverage makers build a dedicated customer base and hit financial targets. If getting the right product labels for your craft brews is standing in the way of moving the drinks into in the commercial supply chain, please contact us today to schedule a free consultation by calling (262) 790-2740, or use the contact form on our website. We look forward to providing you with the very best craft brew labels for your distinctive drinks at the best price. Beer has been sold commercially for hundreds of years. Some of the longest running breweries on the British side of the Atlantic are centuries older than our Declaration of Independence. But regardless of where and how beer is sold, its main selling points are often advertised on labels that adorn the bottles or cans, such as: beer category, alcohol content and special ingredients. If you operate a brewery, dynamic product labels are your ally when it comes to making sales. Craft beer and conventional beer share several characteristics, particularly: the presence of hops and barley, the adherence to particular style of brew, and grain alcohol. 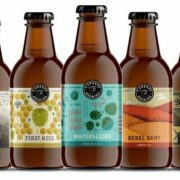 One area where beer that’s crafted to create a highly unique beverage and beer that holds to the norm differ, though, is product labeling. Conventional beer labels often feature a simple, traditional design that the brewer has used for decades, but craft beer labels are often created with a flair that reflects the distinctive character of the beverages they represent, beverages that push the beer envelop in a way that the average customer is unfamiliar with. For example, you can find a single pilsner beer in just about every major grocery store, but what about a triple pilsner beer, which essentially triples the ingredients of a single pilsner in a way that creates a delicious, unique taste? 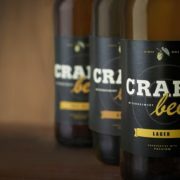 That’s a beer you would get from a craft brewery — and when you see the product on the shelf, it typically features an aesthetically unique label that reflects the uncommon character of the beverage and the brewery itself. In short, craft beer labels are designed to help distinguish craft brews from the sea of conventional beers that also line the beer aisle. So, from a sales and marketing perspective, a lot is riding on the design of craft beer labels. Consequently, it’s important for craft brewers to work with a provider of labeling solutions that understands their niche in the beer market and can translate their label designs into ready to apply labels that can be affixed to bottles or cans using an automated production line or, in the case of some exceptionally small batches of craft brew, applied manually. With our experience in providing labels for beer, Flexo-Graphics offers your brewery a full range of labeling capabilities. Let’s say your craft brewery is ready to unveil a new, summer wheat ale that has a well-balanced, citrusy tang. You have the label design, but you need to print it on a label that has the right qualities for your creative vision and packaging, such as size, material, and label coating. You also need a way to have the labels produced on schedule to get your beer in stores quickly and maximize its shelf life. You may also need a third party to apply the labels, and a third party to help fine tune the label design in a way that makes it “pop” when seen on the shelf. Flexo-Graphics can assist you with all of these tasks, including connecting you with label applicators and label designers that take care of all the minute production details, so you can focus on what you do best: creating fantastic craft beer that’s a drink of choice among discerning beer lovers. To get started on creating the great craft beer labels that your libations deserve, call us today at (262) 790-2740, or use the contact page on our website.